Mariaann, thanks...now I've become addicted to uploading pics of Michael for puzzles. As if my Michaeling wasn't addicting enough already! I was sending out puzzles for awhile to the other forum at mj.com & thought I would share them all with you. 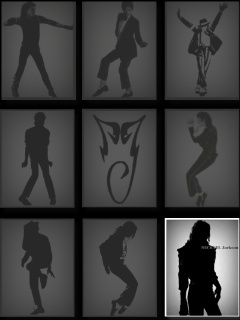 This is a link to the gallery of puzzles that I have created so far using pictures of Michael. There are 30 in all. Just click on one of the photos & a puzzle will come up. You can change the cut of the puzzle to make it easier or more challenging. It may take about a minute for it download depending on the size of the picture. Have fun! !